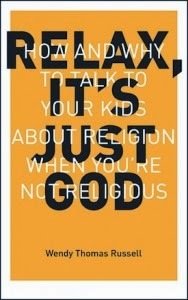 Wendy Thomas Russell is the author of the new book Relax, It's Just God: How and Why to Talk to Your Kids About Religion When You're Not Religious. 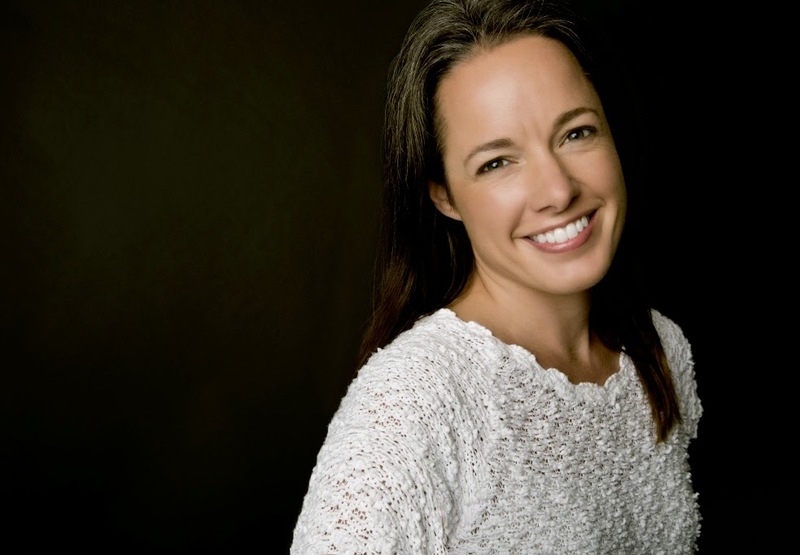 A journalist and secular-parenting blogger, she is the co-founder of Brown Paper Press. She lives in Long Beach, California. Q: Why did you decide to start your blog about secular parenting and write this book? A: When my daughter, Maxine, was 5, she suddenly became aware of religion — not because I had brought it up, but because someone at school had told her that this incredible being in the sky named God made all the babies. She believed it, of course, because it was so cool! And she couldn't fathom why I had withheld this piece of information for so long. Bad mommy! It put me in awkward position. As a non-believer, I didn't want to indoctrinate her into my view or set her up to be ostracized by her peers, but I also didn't want to allow others to indoctrinate her either. I didn't want her to take everything people said as fact. Essentially, I needed a way to explain religion in a truly respectful way — a way that would allow me to be completely honest about my beliefs but would also encourage her to reach her own conclusions. But when I added all that up, it seemed like kind of a tall order. I looked around for advice offered by people like me — confident moms who were neither atheist activists nor shrinking violets, and who wanted their kids to grow up to be genuinely kind and understanding of the diversity around them. There was so very little! Perhaps because of the controversial subject matter. I realized rather immediately that secularism was an area of parenting that still needed to be properly mined. And, as a journalist, I figured I was in an ideal position to do some mining of my own. I wrote the blog and the book simultaneously — which slowed down the writing process significantly, but was well worth it. About four years ago I began reading everything I could get my hands on, interviewing experts, and developing my own philosophy of secular parenting. The blog was a way to share my experiences and thoughts, to seek feedback, and to inject some much-needed tolerance into the atheist writings elsewhere on the Internet. The blog informed the book, and the book informed the blog. It worked out really well, I think. Q: You write, “While secularism is clearly on the rise, this country is, by no means, secular.” What percentage of Americans describe themselves as secular, how has that number changed over the years, and what impact has that had on American society? A: The numbers are changing all the time! The General Social Survey just announced that 7.5 million Americans left religion between 2012 and 2014. That's a huge number in just two years. In 1990, less than one in 12 Americans were unaffiliated with any religion; today, that figure is one in five — and creeping toward one in four. Among young people, secularism is especially strong. One-third of adults under age 30 are unaffiliated with religion, which points to an even more secular future — at least in the short term. I tend to think it's a bit too soon to say what impact the rise of secularism is having on American society. But I can tell you for me, personally, it's a relief. It means that more people are being honest and open about their lack of belief, and that goes a long way toward knocking down stereotypes. What worries me is the aggressive judgmentalism I see among some high-profile atheists; being nonreligious doesn't give us carte blanche to be assholes. Listen, I get why some atheists are angry; and, frankly, a lot of them have a right to be angry. But at some point — for the good of our kids, if not ourselves — we need to move past "atheist bitterness" and start bridging the gaps between "religious" and "nonreligious." We really aren't all that different, and we can get a lot more accomplished together than we can apart. Q: One of your chapters deals with religious tolerance. How would you define that concept? A: You can ask 100 people to define "tolerance," and you're likely to get 100 different answers. It really is a slippery concept. But I think that when we talk about aiming for "religious tolerance," we are talking about adopting an attitude of general kindness and respectful conduct toward beliefs that differ from our own. Ridiculing people who believe in God or Jesus or Muhammad or Joseph Smith is not tolerance; it's bullying. Does that mean we can't speak out against harmful conduct carried out in the name of religion? Heck no! But a guy who abuses his son for religious reasons is no worse than a guy who abuses his son for any other reason. Just like a guy who volunteers at a homeless shelter for religious reasons is no better than a guy who volunteers at a homeless shelter for any other reason. It's time we judge people on their actions, not on their particular set of personal beliefs. Q: Can you say more about how you researched the book? A: I read a lot. Books, articles, essays — you name it. I interviewed demographers, scholars, authors, philosophers and fellow parents. I developed a survey for nonreligious parents that was answered by more than 1,000 individuals, none of them from the same household. I tried to listen, really listen, to what people were saying, then cull the best ideas from those sources and distill those ideas into a practical guidebook that is hopefully as fun to read as it was to write. A: Last summer I co-founded a small publishing company called Brown Paper Press with a fellow author, Jennifer Volland, here in Long Beach, California. We were both fairly disillusioned by the traditional publishing industry on a number of fronts, not the least of which is its treatment of authors; and we decided (rather arrogantly) that we could do it better. We have several other books in the hopper and are specializing in well-written, well-designed works of contemporary culture — mainly nonfiction, but not exclusively. My book is our first title. Our second title, I'm Dyin' Here: A Life in the Paper (Fall 2015), is by Tim Grobaty, one of the few full-time newspaper columnists left in Southern California. Grobaty spent his adult life at the same daily newspaper and is now facing his own mortality, as well as the impending death of his entire industry. It's compelling stuff. Plus, Grobaty is a humor columnist, so it's also very funny. That's all to say that Brown Paper Press is where my head will be for the foreseeable future. A: My message to all parents, whether you be religious or nonreligious, is to loosen up when it comes to matters of faith. Unless you truly believe your child is going to go to hell if he or she believe "incorrectly," then consider encouraging your kids to make up their own minds about what to believe. Go out of your way to introduce them to several different world religions, as well as to the concepts of atheism and agnosticism. Talk to them honestly about what you believe and why you believe it. Talk to them about all the wonderful people in the world who have believed things different than you do. Encourage them to seek their own truth and assure them that, as long as they are kind to other people and happy in their own choices, you will support them. I truly believe that, by doing this one small thing, we truly can make the world a better place.